The first phase of the new park at the South Platte River near the Broken Tee Golf Course in Sheridan off of West Oxford Avenue officially opens Thursday. It is crunch time for construction crews as they put the finishing touches on the new park with its beaches, sprawling landscape, event venue and two man-made surf spots. The $14 million project is part of a one-mile revamp of the river with the goal of turning the unused urban waterway into something special. 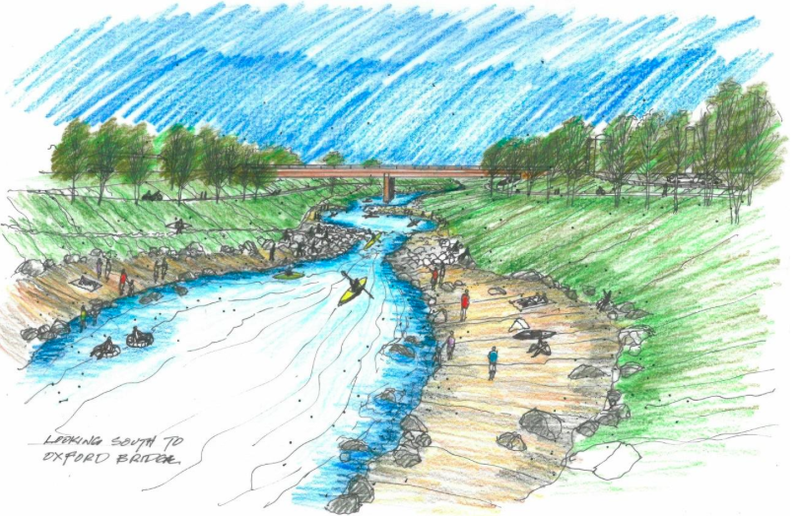 The publicly-funded project is being paid for through a partnership with the Urban Drainage and Flood Control District, Arapahoe County, City of Englewood, City of Sheridan, South Suburban Parks and Recreation and the Colorado Water Conservation Board. Besides the new open space and recreation area, flood control structures were replaced and the river banks stabilized.